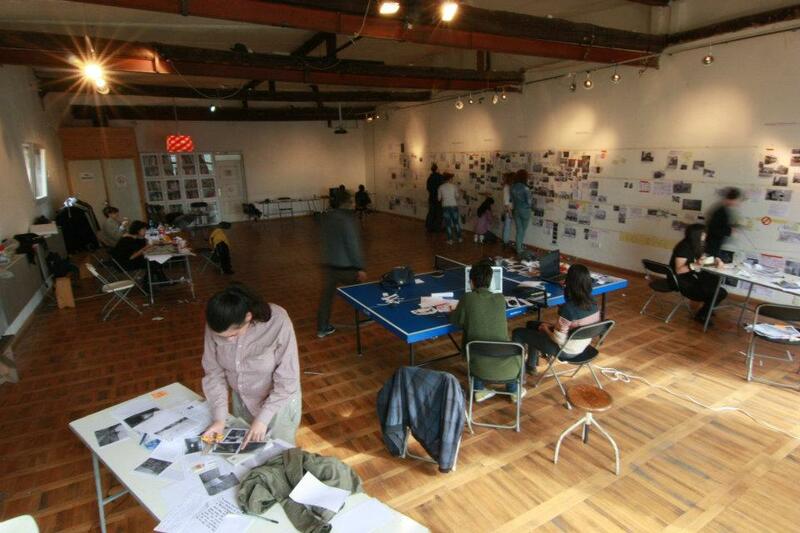 An account of the FA Mobile workshop in Savamala, Belgrade: creating a sense of place. Savamala is an old neighbourhood in Belgrade, Serbia. It is known for its heavy and continuos traffic arteries, for the apparent lack of local communities, for the prostitution and its wild night life. A constant flux of goods and people. Many seem to cross Savamala, but very few seem to stay. 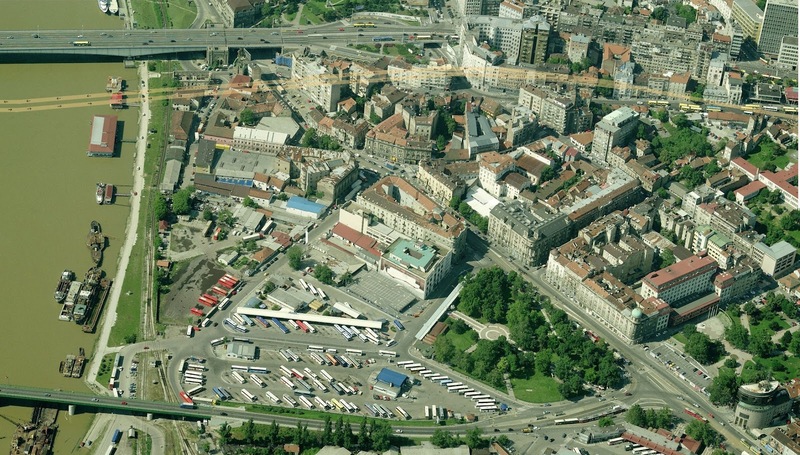 In 2012 the Mikser festival had decided to activate Savamala by moving all festival activities to this neighbourhood. 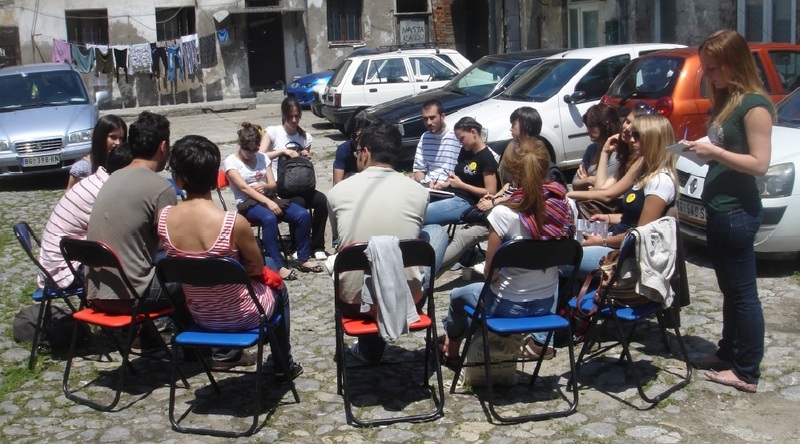 We were invited to organise a workshop on and in Savamala. 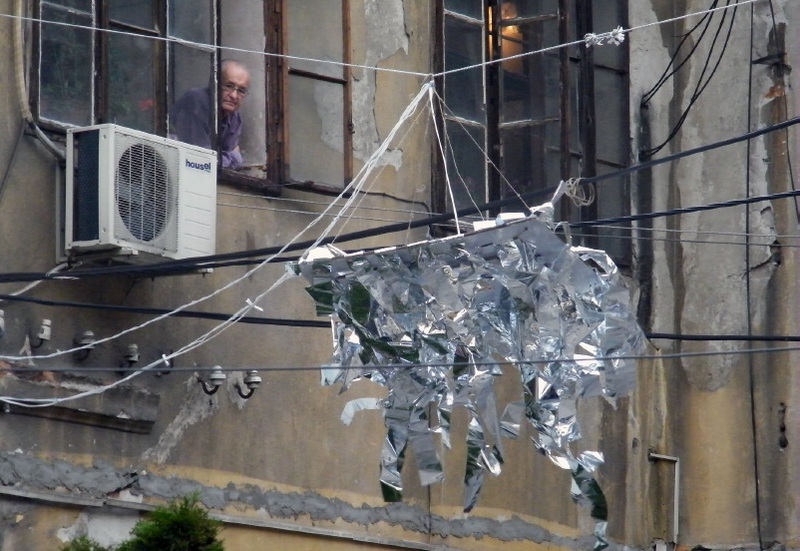 For this workshop we chose to work with the people who inhabit Savamala. The area is not a densely populated one, but it still hosts inhabitants who are almost always grouped in courtyards. With the ‘A sense of place’ workshop we thought of reasons for which people would like to stay in Savamala. We tried to create places. A place is not just a location or a space. A place is loaded with functions, expectations and symbolism. A place is relevant and dear to its users. One of the main factors for creating, maintaining or ruining places are the local inhabitants. Even-though they seem to be an anonymous group in Savamala, they do exist. After visiting numerous courtyards in the area we chose one, which could be described as archetypical for Savamala as a whole: mix of inhabitants with various backgrounds, apartment access through the courtyard, property problems, decay, a historical building. The workshop participants traced the habits of the locals, made proposals for action and realised a series of interventions. Our goal was to reinforce the sense of belonging of the people who live in Savamala by upgrading the spaces, which they associate themselves with. From the very beginning we realised that the courtyard, which we had chosen does not function as a communal space and that its residents are often neglecting, if not avoiding or threatening each other. We came very fast to the conclusion that there was a severe lack of communication between the inhabitants. The space of the courtyard itself had also lost its function as a common ground for the locals and had become only a transition space to their private homes. They were using the courtyard only for parking their cars instead of any common activities. 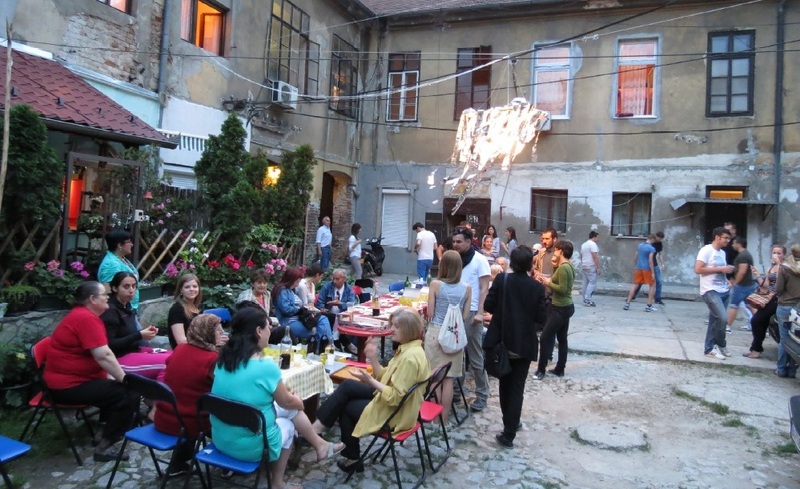 This situation was confirmed to be typical for all of Savamala’s courtyards and by engaging with this specific courtyard we believe we address the neighbourhood as a whole. We decided to provoke communication by activating the most obvious common thing they had, the courtyard. This is how we did it the five days between 28 May and 1st June 2012. All five days we were almost constantly present in the courtyard. Arriving in the morning, we would gather as a group, sit in a circle and discuss our plans. Up until the evening we would walk around, talk with residents, make drawings, discuss again. With some of the residents we had an immediate contact and they told us their views on the building, expressed their concerns and showed us their homes. With others it took more days until they got used to us, but at the end all residents were comfortable with our presence in their courtyard. This was possible only because we kept staying there. We were not looking at the courtyard from aside, as an observer, but we placed ourselves physically at the centre of what we were working on. This was essential in order to win the trust of the locals. Towards the end of the workshop we had figured out what we would like to produce: paint the arches of the entrance tunnel, place a silver-foil curtain there, make a chandelier for the courtyard and gather tables for a final event. Once we started executing our plans we saw the residents waking up. Not only were they curious about what we were doing but very often they helped, gave advice or shared their opinion. The act of producing something physical, something to which the inhabitants could relate to, was enough to activate them and to make them come out of their private homes. Proverbs like ‘In vino veritas’ or ‘Love goes through man’s stomach’ could have been proved right on the last day of our workshop. We had asked all inhabitants to lend us a table for that day. At the end of the day we had formed one big common table, made of all the individual tables of the different inhabitants. We used these table as a symbol for the cooperation that could be possible in the courtyard, as well as a way to evoke an activity which had not taken place there for a long time – to use the courtyard as a space for social interaction. Besides the symbolical we employed also the culinary. We had organised simple food and some fruit and sweets, as well as red and white wine. The food and drinks proved to be a very good binding element for the locals. So we had staged an event, an open-air dinner. But we tried to present our actions also in a nice, attractive packaging. We did not produce high-quality designs or amazing art pieces. But we used esthetics and scenography in order to rise the attractiveness of our actions and to provide the locals with something entertaining for the eye. The painted arches suddenly accentuated the beauty of the entrance tunnel. The silver curtain made the entrance to the courtyard a theatrical event. The glittering chandelier above the courtyard added a soul to this common space. The playful and entertaining character of our actions helped greatly our message to get through. During this workshop we used many techniques, to which architects (as almost all participants at the workshop were) are usually not used to: scenography, interviewing, (almost) social work, producing small scale objects. Still we also employed our capability of abstracting and interpreting the built environment. We produced an axonometric drawing of the building, in which we represented the most characteristic features of each of the courtyard families. And we added their stories on the walls of their apartments, in that same drawing. Once the drawing was finished, it was nice to observe their interest in their own building. This abstracted, drawn and interpreted in a funny way building was much easier to deal with for them, than the real situation. In such a way they could think of their building, avoiding to consider all the problems to which it related in real life. A crucial issue in this workshop was that we introduced new elements to the life of the courtyard. These were elements different and not related to the everyday irritations, which the inhabitants experience. The very presence of new people had formed a catalyser for them to get together and stay in the common space of the courtyard. By not relating directly to the issues troubling them (property, parking, housing extensions, basement, attic, facade maintenance) we avoided taking sides and contributing to the already charged situation. Instead we managed through these actions, alien to their problems, to engage them in a light, uncharged way with each other. The result was the experience of working together in the common space of the courtyard. A phenomenon, we were told, that had not occurred for years. All our actions came to a good end. Not only most of the inhabitants came down to the courtyard on the last day, but they also talked, laughed and drank together. So happy they were with our action, that they invited us to come again, every month even. To that offer they added the promise to try to help us more next time, both physically and financially. The organizers of this workshop, Maja Popovic, Ljubo Georgiev and Boba Stanic, would like to thank the residents for their enthusiasm and positive response towards our action. This action was the product of the efforts of all participants to the workshop, whom we would like to thank for the creativity and motivation they showed.